Jean B. Ménager’s practice focuses on general business and corporate transactions, employment law, and business litigation. He is admitted to practice in Kansas, Missouri, and in the United States Courts for the District of Kansas and for the Western District of Missouri. Mr. Ménager is active in the legal community and has served on the leadership of the Earl E. O’Connor Inn of Court, the Johnson County Bar Association, the Lawyers Association of Kansas City-Young Lawyers Section, and the Kansas Bar Association. Mr. Ménager is a 2014 graduate of the University of Kansas School of Law where he studied corporate law and developed his advocacy skills. He also holds a Bachelor of Arts degree in psychology from the University of Kansas. At KU Law, Mr. Ménager served on the editorial board of the Kansas Journal of Law and Public Policy as an Articles Editor. He was also a judicial law clerk at the Shawnee County District Court in Topeka, Kansas. 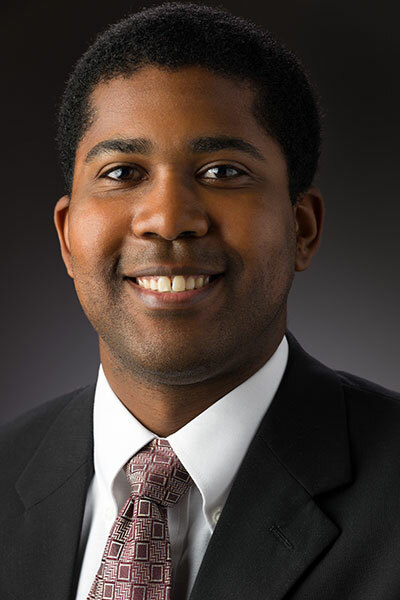 Mr. Ménager was awarded a certificate in business and commercial law, and he is a recipient of the Black Faculty and Staff Council Scholar award. In 2017, Mr. Ménager received the Kansas Bar Association’s Outstanding Young Lawyer Award. Mr. Ménager may be reached by email at [email protected] or by phone at ?913.345.2693. In addition to English, he is also fluent in French and Haitian Creole.